Softwall Cleanrooms provide an economical yet versatile solution to cleanroom construction. 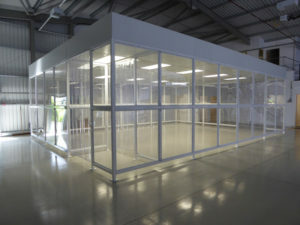 These softwall cleanrooms can be used in materials development, medical devices, semiconductor or other industries where cleanroom conditions are required. Soft wall cleanrooms have the added advantages of being portable, easy to assemble and ideal for applications where the cleanroom may need to be expanded to meet future requirements. 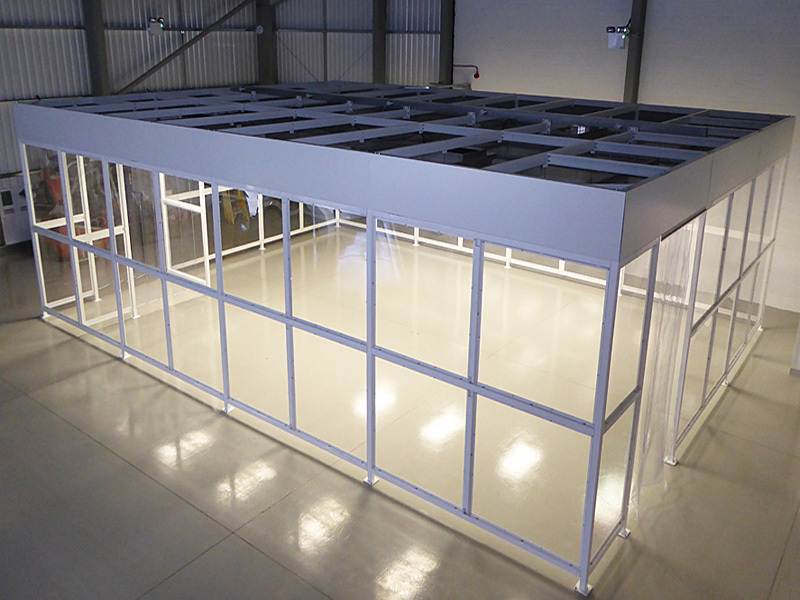 Softwall cleanrooms are recommended for ISO 14644-1 class 7-8 controlled environments. Our cost effective cleanroom unit consists of an extruded aluminium frame similar to our modular wall system but features anti-static clear vinyl walls either full size or in strip form. The entry and exit is via a strip curtain door which can be positioned along any wall. The complete unit can be both castor mounted and mobile or can be floor mounted and leveled. Each unit is equipped with the required number of ceiling integrated fan filter units and the appropriate number of cleanroom lights depending on the size and classification of the construction. We have a number of standard sizes available in pre-configured kits or they can be custom made to suit our clients specifications. 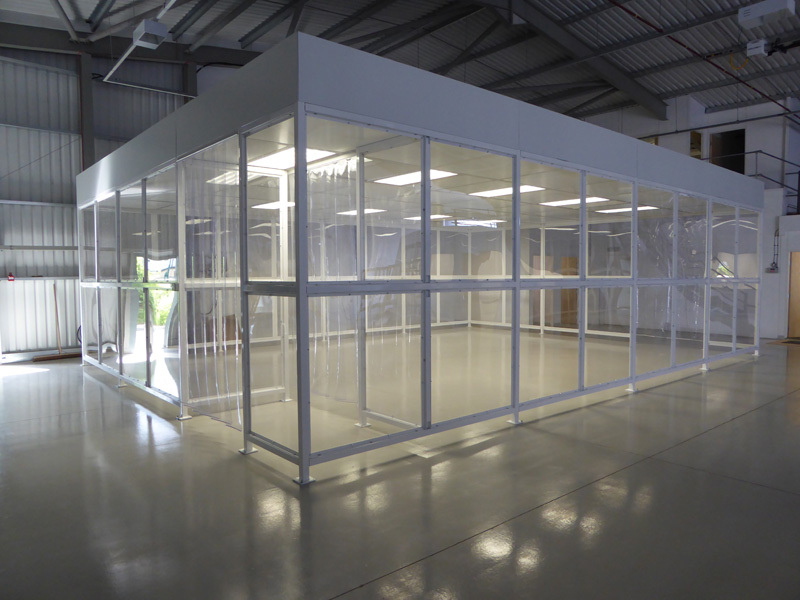 While Softwall cleanrooms are considered to be the most economical type of cleanroom construction, NGS Cleanrooms solutions also provide very cost effective modular hard-wall cleanrooms that also should be considered when designing a solution.